Here we’ve one of our authors, Dartmouth College geographer Paul Jackson, discussing his paper ‘The Crisis of the “Disadvantaged Child”: Poverty Research, IQ, and Muppet Diplomacy in the 1960s‘. In the early 1960s, Paul explains, the US federal government deemed poverty to be a national crisis, and actively intervened to solve this problem. His Antipode paper questions how preschool education became a key site to remedy the crisis. Government interventions were a combination of poverty research, racialized politics, and child development, and Paul shows how the discipline of early childhood education cohered around the term “disadvantaged child”, in turn influencing the War on Poverty policies, including the basis of Head Start preschool education. During this same decade proponents of Sesame Street—with private funding, along with extensive testing mechanisms by consultants—argued that the television could reach more children, therefore be more cost effective. The paper investigates how surplus populations became determined and demarcated, as early as three years old, exploring how televised preschool taught “affective skills” and proper social relations during times of political crisis. Paul goes on: “During the 1970s and early 1980s, Sesame Street gave the soundstage to some amazing people, including Jesse Jackson, Buffy Sainte-Marie, Nina Simone, and the muppet Roosevelt Franklin (who didn’t last long on the show despite his knowledge of geography). However, Sesame Street’s lessons were not only broadcast to the United States. The Children’s Television Workshop consulted on “muppet diplomacy” throughout the world for shows like Iftah Ya Simsim produced in Kuwait, and Rechov SumSum produced in Israel. But the politics around Sesame Street and early childhood education are not relegated to the past. President Obama has brought back the “disadvantaged child” with his drive for universal preschool in the United States, as a cure for inequality and a government cost saver. IQ and race has re-entered the national discussion, by way of new research by the conservative think-tank the Heritage Front. Finally, Sesame Street (with some financial support) has taken on the personal problems that arise from the high numbers of people incarcerated in the United States. 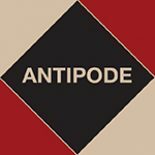 This entry was posted on 10 September 2013 by Antipode Editorial Office in Video Abstracts and tagged alternative economies, children, climate politics, education, emotion, hip hop, IQ, occupy, politics of sound, post-politics, poverty, solidarity, sovereignty, Spivak, street vendors, surplus populations, television, Turkey, urban exploration.